This lovely cotton lawn Cotton and Steele print caught my eye at Fluffy Sheep Quilting. Sew Me a Song has beautiful bundles, and until Sunday night, you can enter to win that very bundle here - it is the bundle I am giving away for Sew Mama Sew's Giveaway Day. Sew Sisters Quilt Shop is having a fantastic Mother's Day Sale. 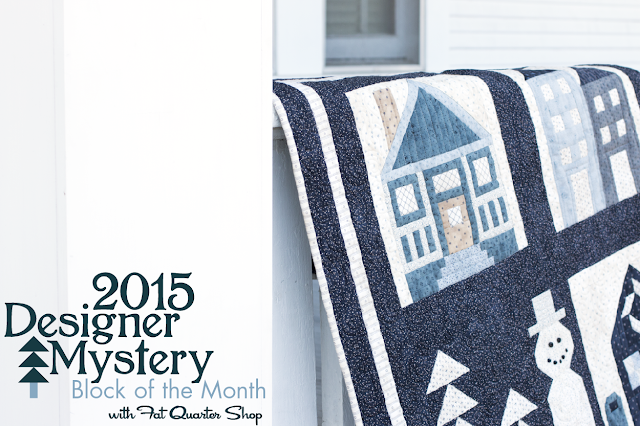 The Fat Quarter Shop will begin their 8th annual Designer Mystery Block of the Month program featuring blocks from 12 Moda Designers and the Snowman Gatherings II collection by Primitive Gatherings in June. It's time to sign up. 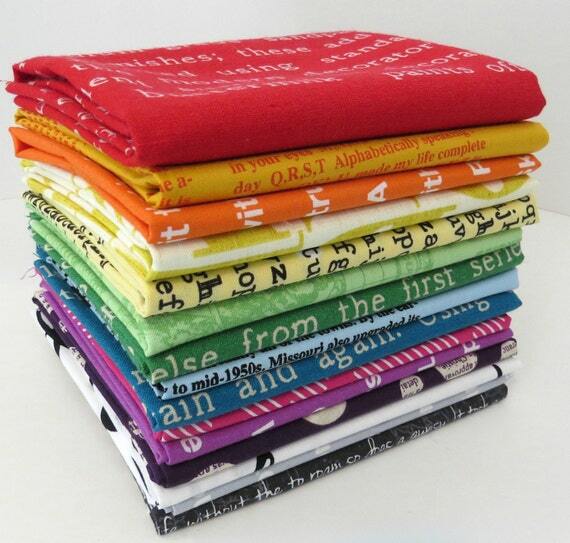 At Green Fairy Quilts fat quarter bundles are 35-50% off with free shipping in the USA. You can also purchase a $100 Gift Certificate for $90, or 10% off. Mad about Patchwork has several beautiful bundles, including the She Can Quilt Blogger Bundle. If you are quick about it you, up until Saturday morning you can enter to win one of these bundles here on my blog. Oakshott Fabrics has partnered with the lovely Lynne from Lily's Quilts to feature their stunning Scandinavia fabrics in a blog hop of fantastic projects. 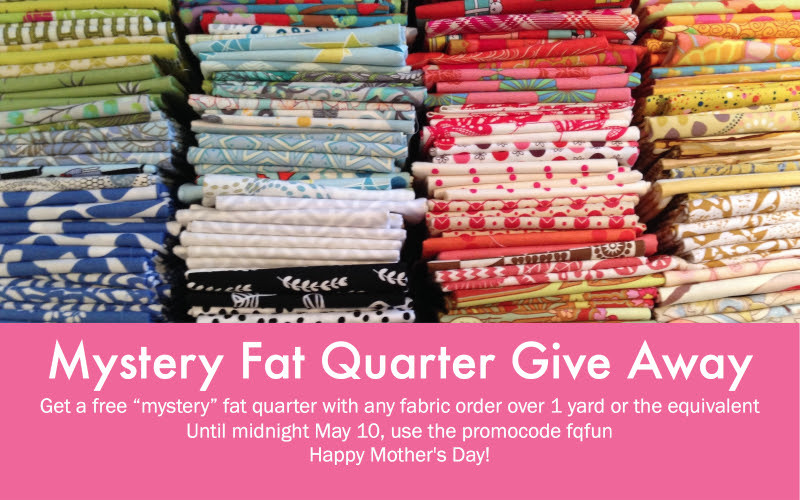 Fabric Spark is celebrating Mother's Day with a Mystery Fat Quarter Event. 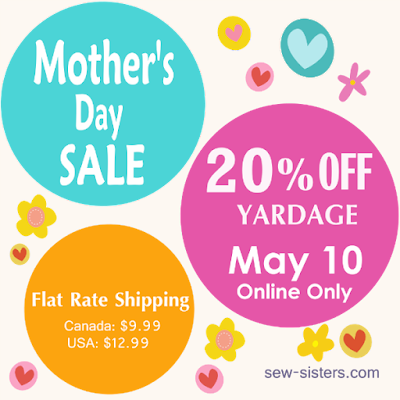 Use the promotion code fqfun when you order 1 yard or more, up until Midnight May 10. It's Mother's Day weekend in Canada and the USA, all the best to all the moms. Mother's Day here too this weekend! Have a happy one!